Following an organizational redesign, disparate and conflicting priorities became evident through an evaluation of the consolidated performance metrics. Northridge was engaged to assess the existing metrics across multiple dimensions, as well as across tiers within the organization. Northridge delivered a comprehensive scorecard design and implementation methodology, improving visibility and aligning performance priorities across a worldwide organization. 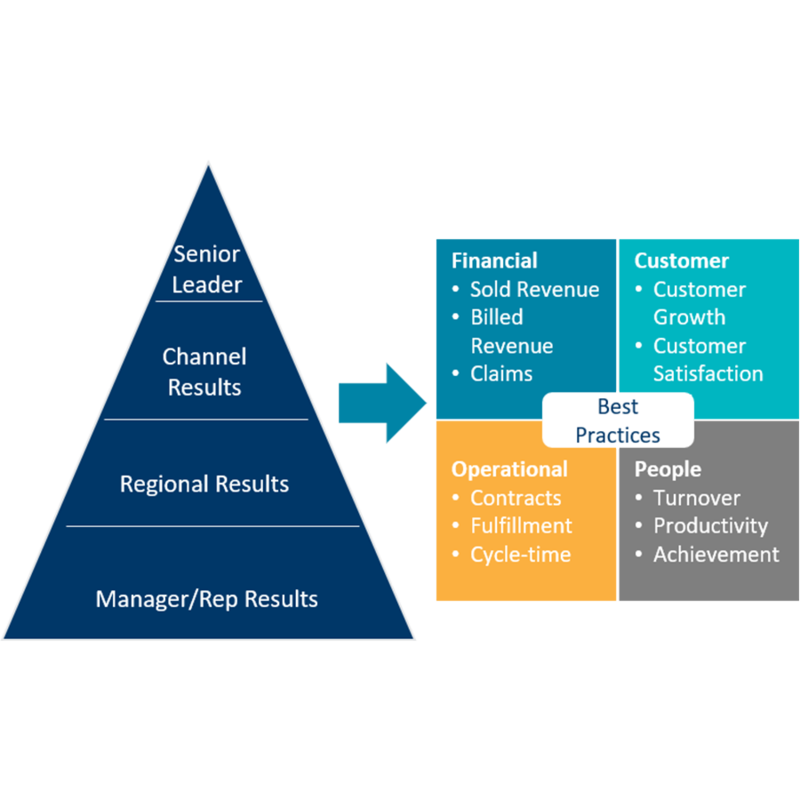 An executive dashboard with correlated performance metrics linked to each organizational tier. A worldwide view of financial, operational, customer- and people-focused performance, consistently measured across each region. Metrics that not only reported past performance, but also provided a forward-looking view of untapped opportunities to achieve improved future performance.